In the last year we have seen a rise in synthetic drugs sending people to the emergency room. Synthetic marijuana like Spice and bath salts like Ivory Wave contain chemicals that mimic other illegal drugs causing hallucinations that can go on for several days. Typically you hear of teenagers and college students abusing these substances; however, since it is difficult to drug test for synthetic drugs there has been a rise in use with the military. Just two years ago there were only 29 Marines and sailors who were suspected of using such drugs, but this year the number jumped to over 700. This exponential jump has officials alarmed and concerned due to the fact that jobs in the military require that individuals be on point because lives are often at risk. An investigation has been launched on more than 1,100 suspected users. 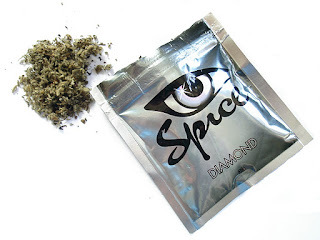 Synthetic drugs are relatively easy to come by; the Internet is perhaps the most popular place to purchase them. You can also find them in smoke-shops and in some places even gas stations. Those found guilty of using Spice are kicked out, although the Navy does not track the overall number of dismissals. Fortunately, tests are being developed and chemicals used to make these drugs are fast becoming illegal to purchase.